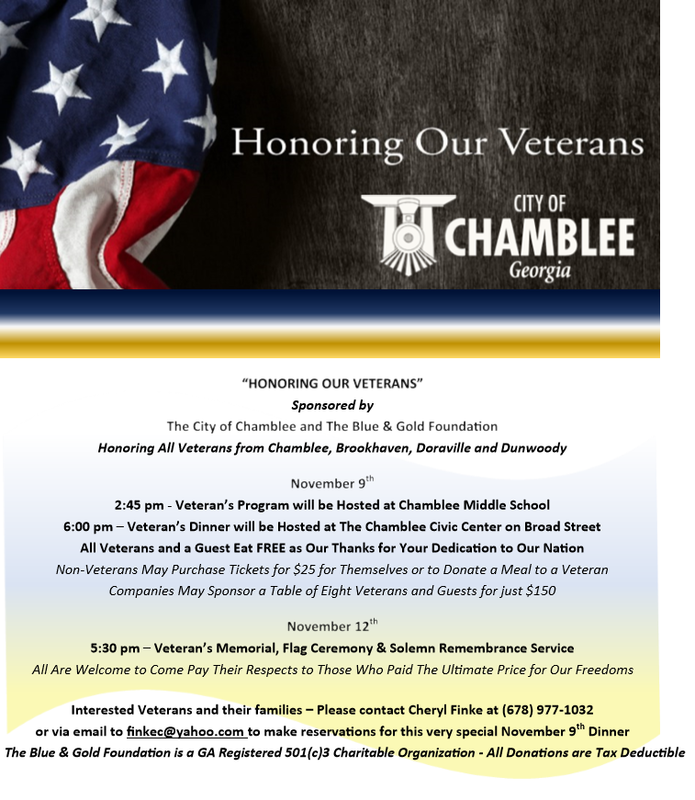 The Blue & Gold Foundation is dedicated to supporting community efforts with Chamblee Charter Schools and the Dedicated Veterans that have so proudly served our Nation. We cordially invite you to join us in November as we pay back a small token of our respect to those who have served and as we look to the future of those that will protect our Nation’s freedoms, going forward. We sincerely hope you will join us on November 9th and 12th!